Yvonne Schwartz - Yoga Off Broadway | Yoga for Every Body! Yvonne Schwartz is the owner of Yoga Off Broadway in Eagle, CO. She has been living and teaching yoga in the Vail Valley since 2007. Yvonne has over 10 years of teaching experience and enjoys teaching all levels of students. 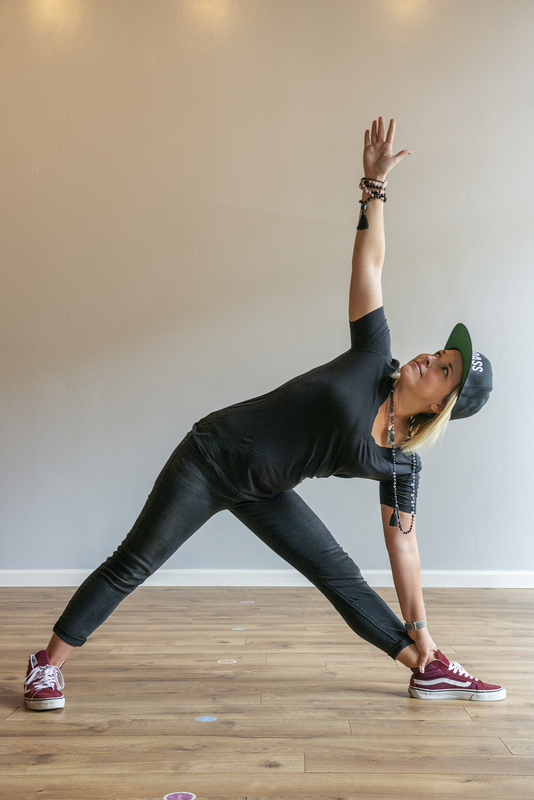 A passionate musician (with a degree in Music Therapy) she has combined her love for music with her love of yoga in her signature class Yoga+Beats with Kirby K. Her classes are both are straightforward and light-hearted with a balance of finding your edge and finding release. Yvonne has studied with many incredible teachers since she began her first formal teacher training with Jim Keegan in 2005. She credits Seane Corn, Rod Stryker, RR Shakti, and Bizzie Gold for their influences and continuing education opportunities. Yvonne is also heavily involved in her community. She is the coordinator of Yoga in the Park which meets each Sunday during the summer in the Eagle Town Park and produced Eagle YogaFest (Eagle’s first yoga event) 5 years in a row!